A very simple title for a very special recipe! A light, delicate, but very decadent cake, (yes, I know, a contradiction in terms) it can be enjoyed as a dessert or, savoured with a cup of tea or coffee. 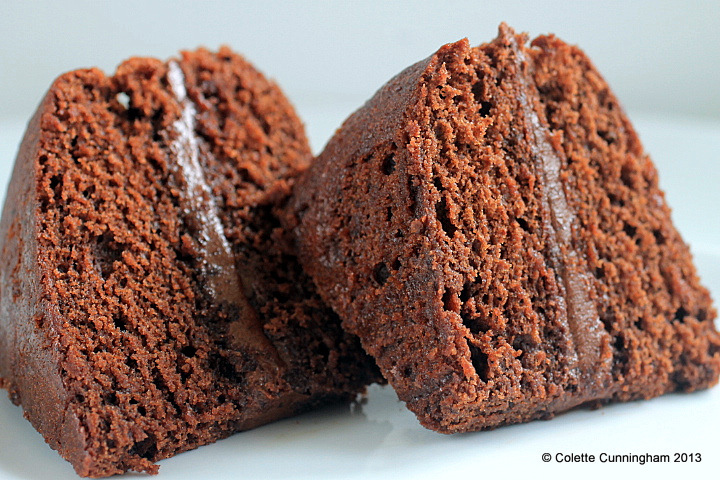 This is, quite possibly, the best Chocolate Cake you will ever make. If you can manage not to polish off every slice within two days, I salute you! 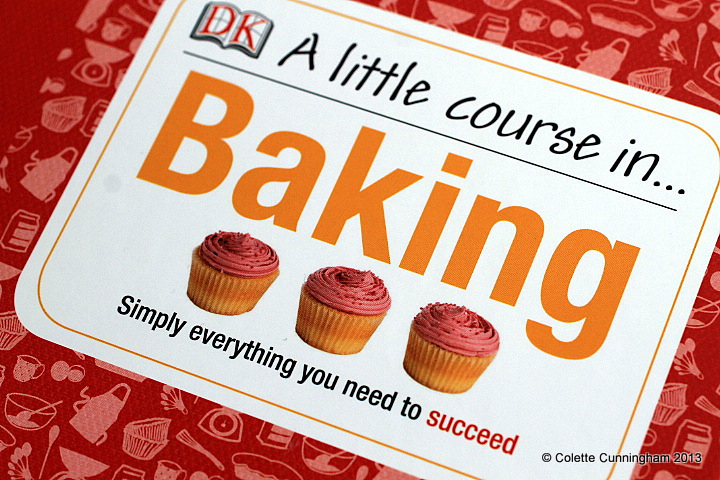 My cook books and baking books offer the inspiration for most of my recipes, but this particular one comes straight from my copy of a Dorling Kindersley publication entitled “A Little Course in…… Baking”. Suffice to say I do not usually make cakes directly from a recipe in a book and serve it to others straight away! I have to try it, test it, tweak it, just to make sure it passes muster! I was pleased that this recipe turned out a treat first time, and felt it was worth sharing. It did exactly as it said it would, and my version turned out looking identical to the photograph in the book. Nothing worse than going to a lot of trouble, only to find what you make looks very far removed from the glossy photo accompanying a recipe. If you see this book, it really is well worth investing in, as a course for novice bakers, and as a recipe reference book for experienced bakers. Here is the recipe and method, (and my image of front cover of the book, above) reproduced with the very kind permission to do so from Dorling Kindersley Limited, London. Pre-heat the oven to 180°C/350°F/Gas Mark 4. Grease the cake tins with butter and line the base and sides with parchment. Set aside. Place the butter and sugar in a large mixing bowl, and cream together for at least 2 – 3 minutes, otherwise you won’t have a light texture. The more you beat at this stage, the more air you get into the mixture. Add the eggs, one at a time to the creamed mixture, beating well after each addition. To begin with, the eggs will seem to separate from the creamed mix, but on further blending, they will eventually combine and take on and “emulsified” or a well-blended appearance that is soft and creamy-looking. Sift the flour, cocoa, and baking powder into a separate bowl. Then, with a metal spoon, gently fold the dry ingredients in to the egg mixture using a figure-of-eight motion. Also, fold in the yogurt. The flour mixture must be gently folded in to avoid knocking any of the all-important air out of the mixture. Tip: It is not essential, but for a really aerated mix you can sift the dry ingredients a second time. Divide the mixture evenly between the 2 cake tins, and bake for 20 – 25 minutes until well risen. Tip: Spread the mixture out so that there is a slight hollow in the centre, to prevent the cake from peaking the centre. Check with a skewer to make sure the cakes are cooked through, and leave to cool in their tins for 5 minutes. Remove after this time, and place on a wire rack to cool. When cooled completely, make the filling by mixing together the butter, icing sugar and cocoa powder. If seems too dry at this point, add the extra milk until it has reached a spreading consistency. Turn one of the sponges flat side up, and spread with the buttercream. Top with the other sponge, and dust the top with icing sugar. This cake will keep for 2 days if stored in an airtight container. Disclaimer: The copy of “A Little Course in…. Baking” is my own. This blog post was not requested by Dorling Kindersley, and was written at my discretion. That sounds wonderful and I’m drooling now. Must try and make this.